I am always trying to eat healthy. Due to health issues I try to avoid sodium and gluten. 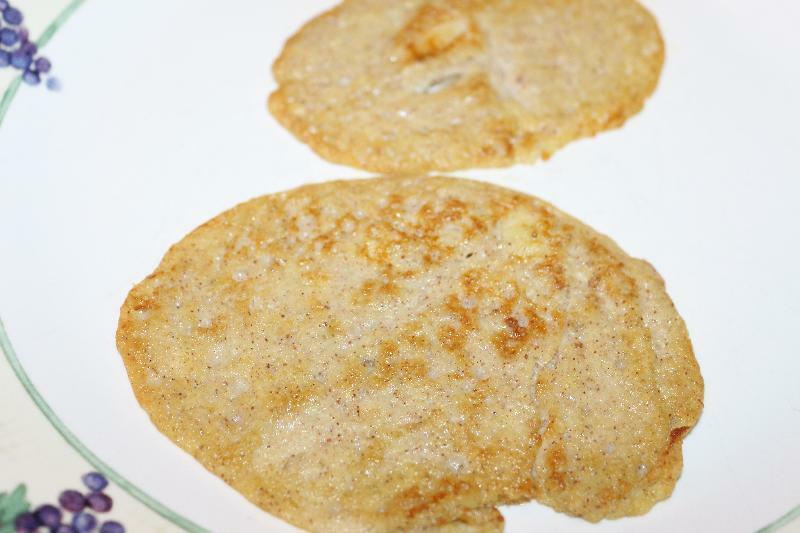 So when my friend Tammy told me her recipe for these banana pancakes I had to try them. There are only a few ingredients and they are so simple to make! Oh did I mention that when I poured real maple syrup on them it was like eating bananas foster. It was like having dessert for breakfast! Thank you for the great recipe Tammy! I will say that I was more than able to eat all of the pancakes that this made. So if you are cooking for multiple people you may want to double this recipe. Or I might just have really enjoyed them! 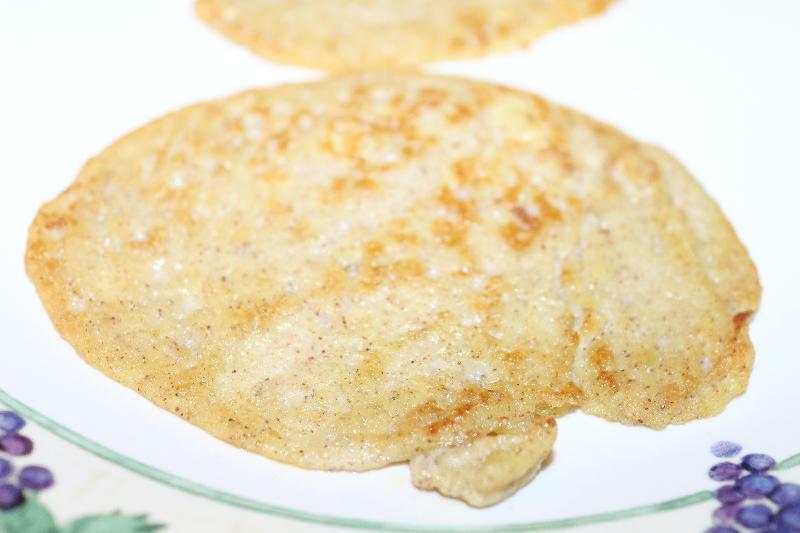 The texture is more like that of a crepe than of a pancake, but still delicious and amazing! Toss the banana in your blender. Crack open two egg and put the eggs into the blender. Sprinkle in some cinnamon or whatever spice you feel like adding. Put the cover on the blender and mix it up. Pour the batter into the hot oil and cook until golden brown. Top with maple syrup and/or butter! Eat up and enjoy! anonymous : I am so glad you liked it! I found that I needed a well greased pan, they def. cook more like eggs and will stick if the pan is not greased. I tried adding a bit of flour, just to see what would happen and it was terrible, so don't try that LOL! Oh and I also tried a version with applesauce, that did not work either.